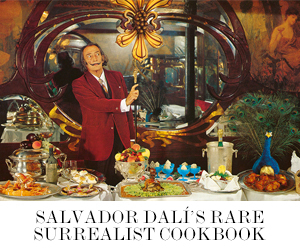 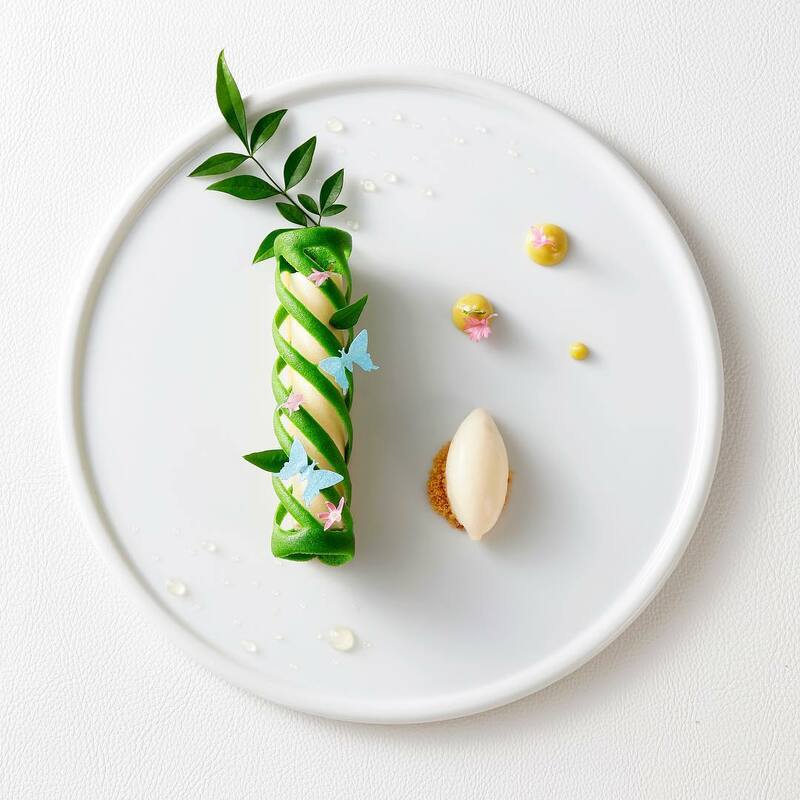 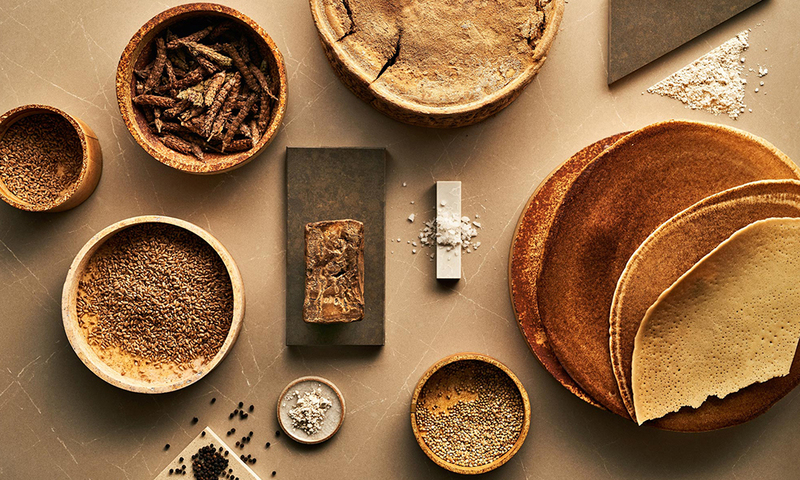 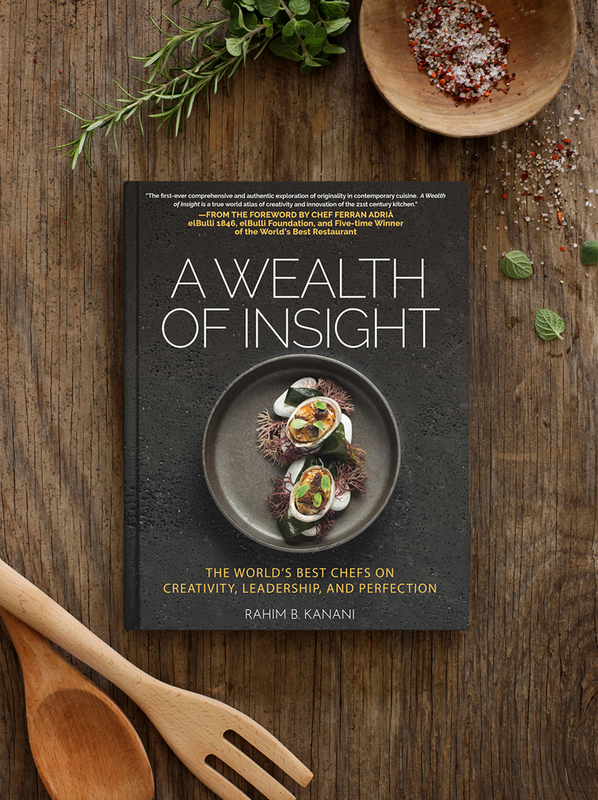 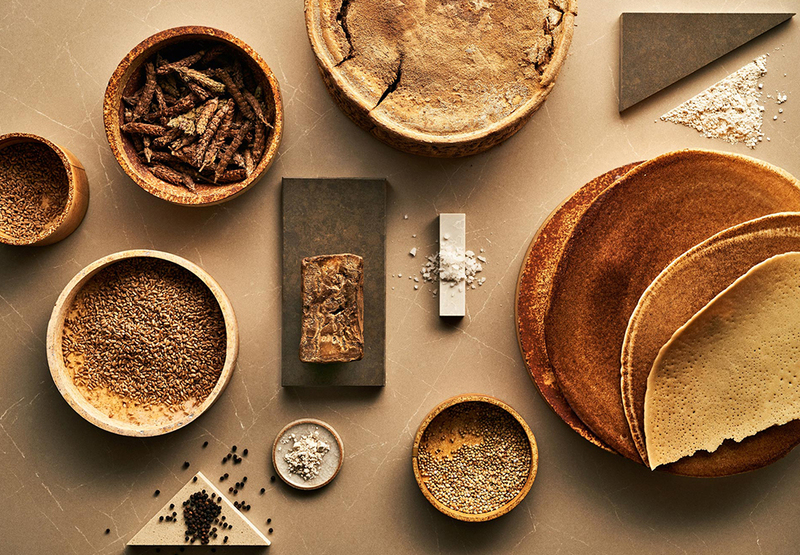 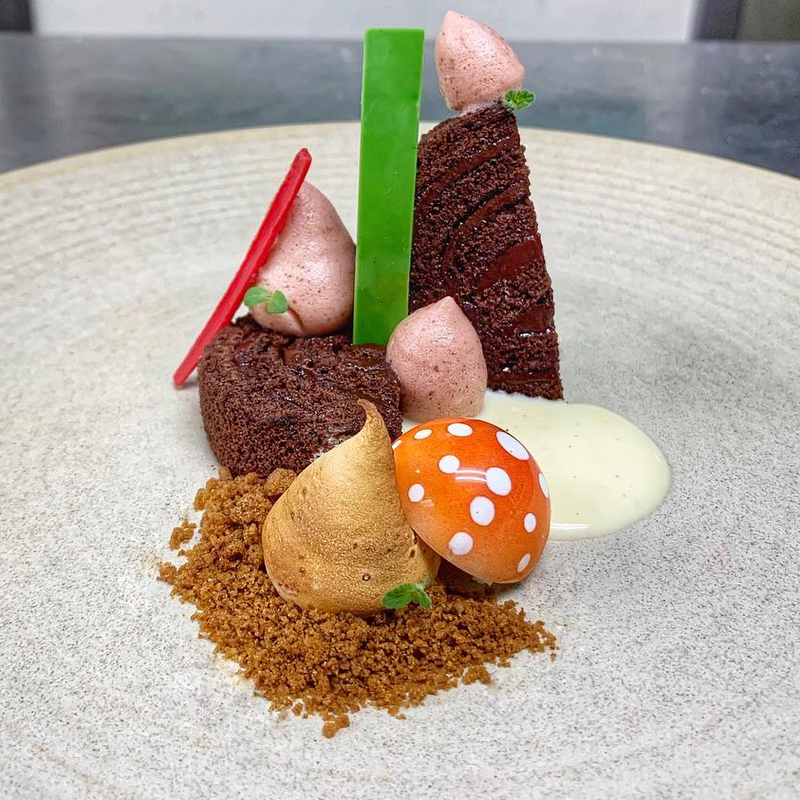 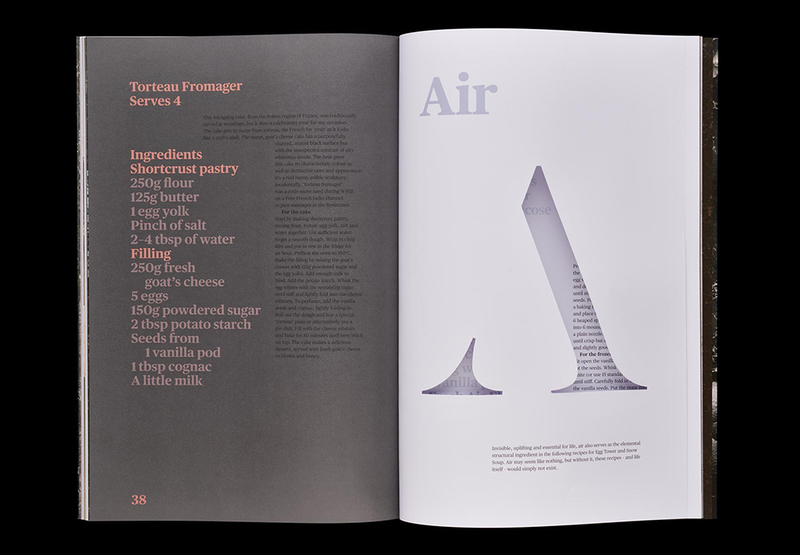 The book features a series of eight conceptual recipes and food stories inspired by four natural elements: air, ice, earth and fire. 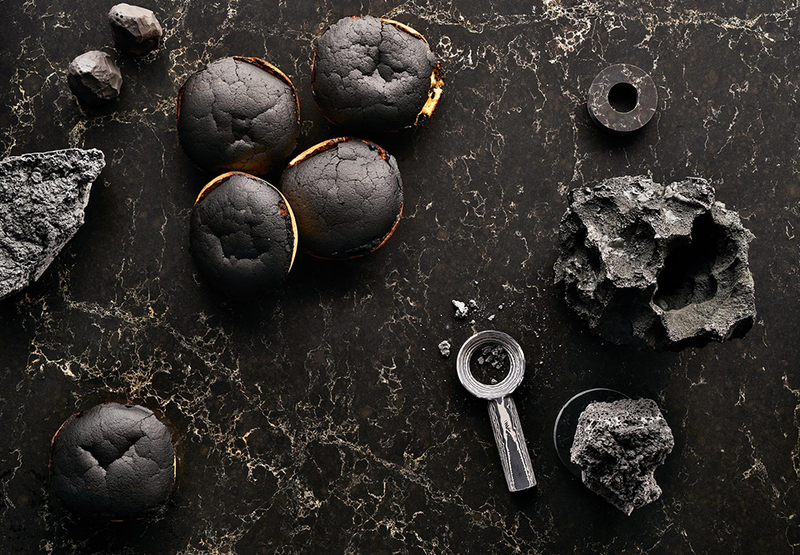 Each recipe is represented by striking photography taken by Tom Mannion and styled by Francesca Sarti that combines thematic produce and ingredients with Caesarstone’s quartz surfaces. 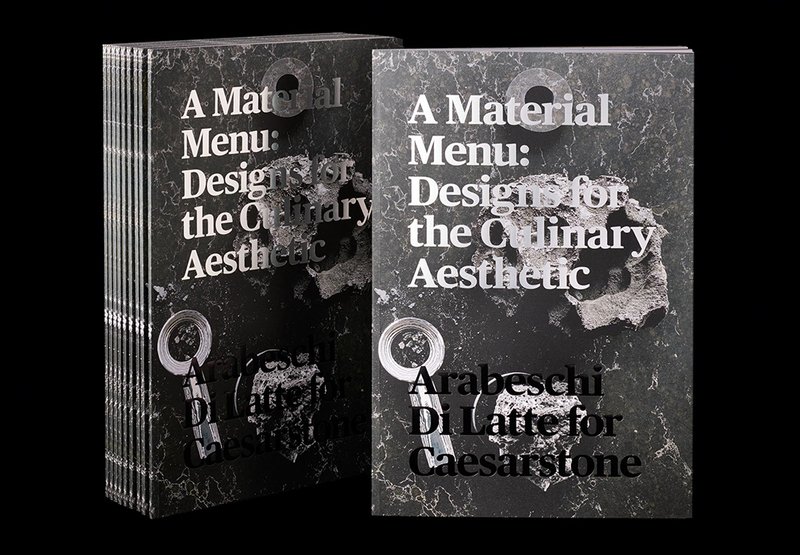 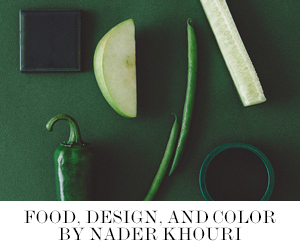 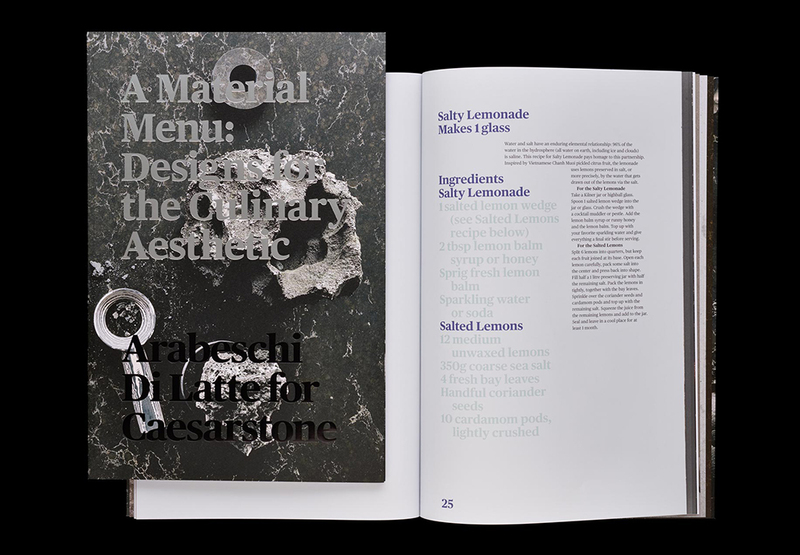 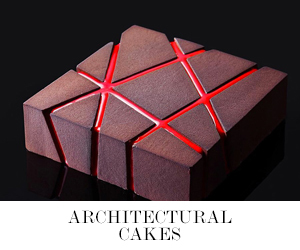 “The book gave me the chance to develop our Milan menu and work on eight new recipes to represent the elements that would provoke the taste buds, tantalize the eyes and echo Caesarstone’s work surfaces in a way that would further explore the boundaries between food and design. 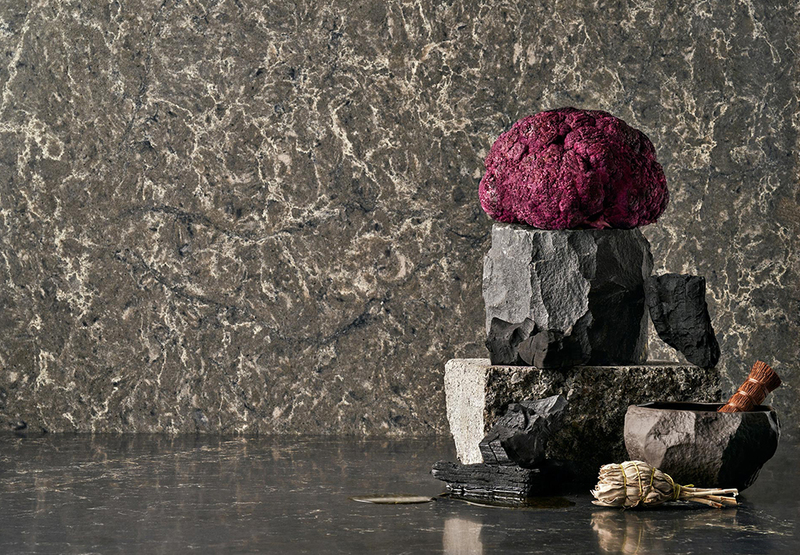 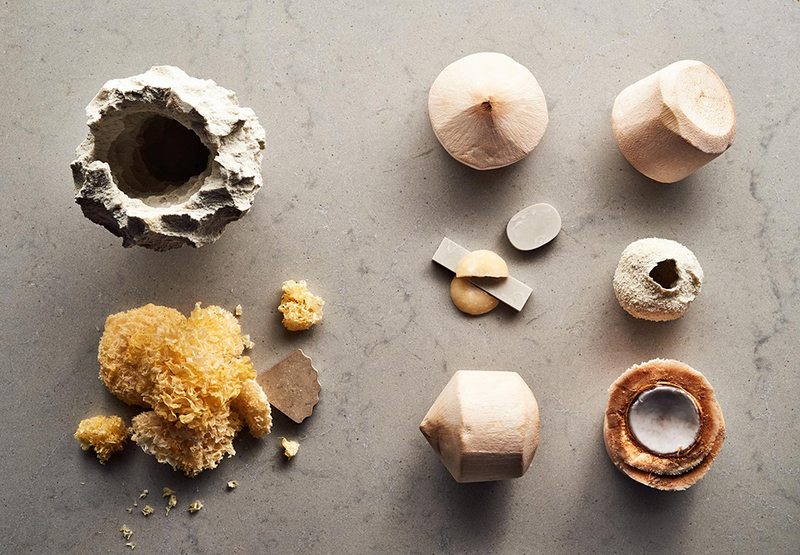 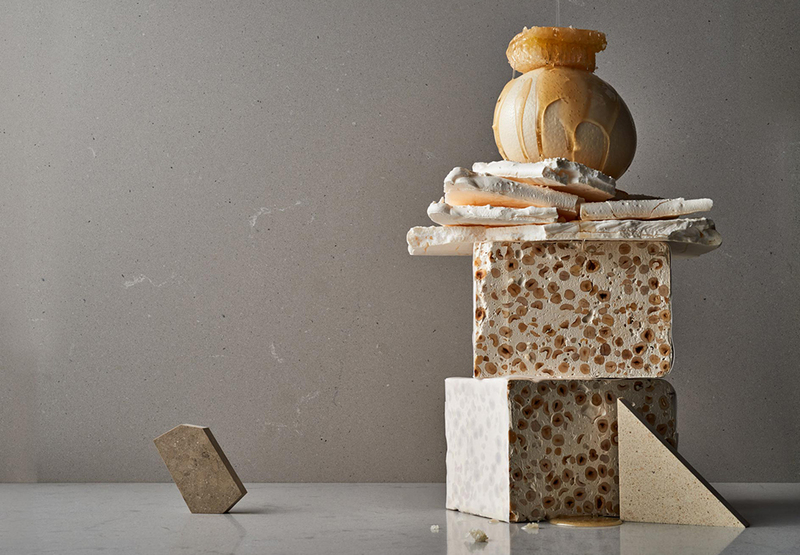 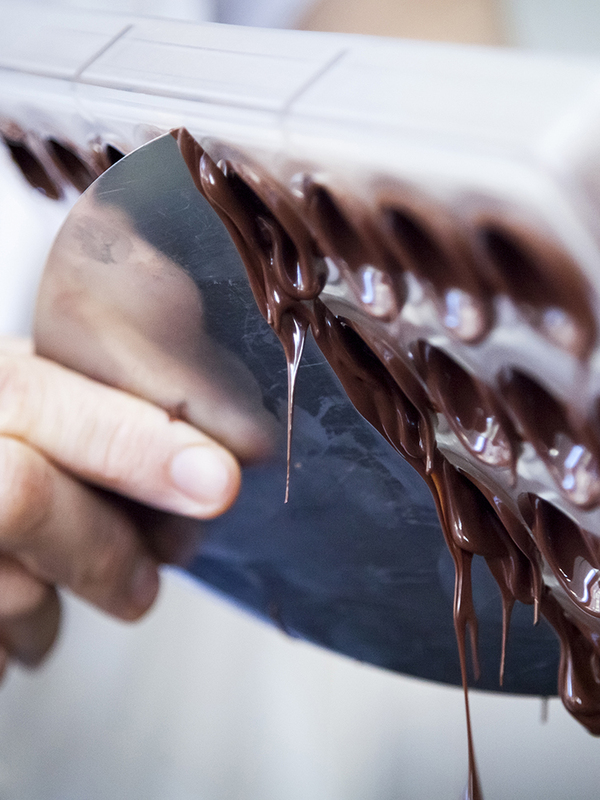 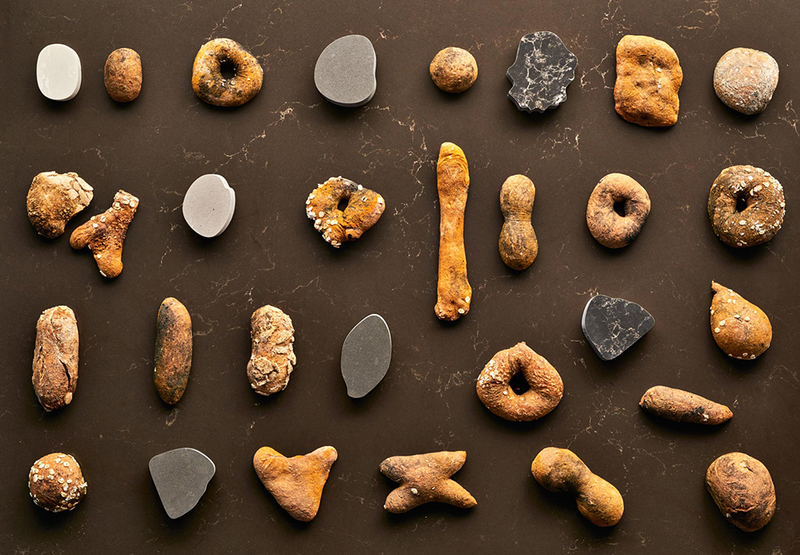 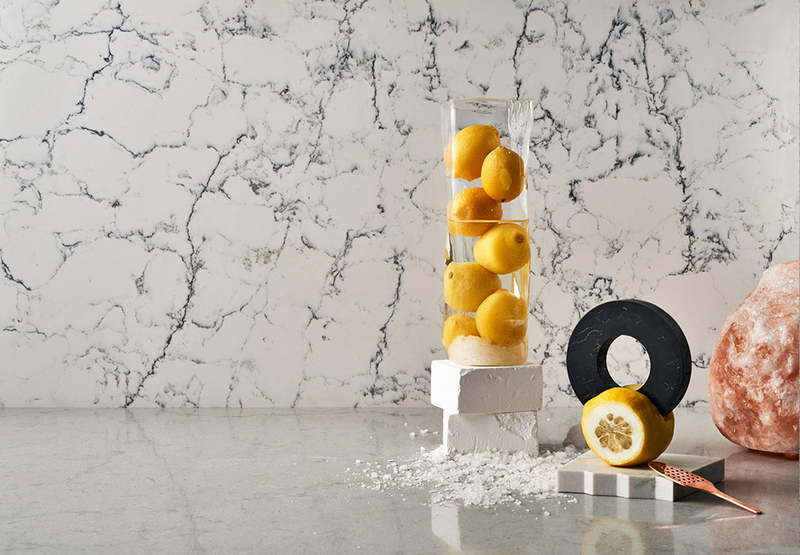 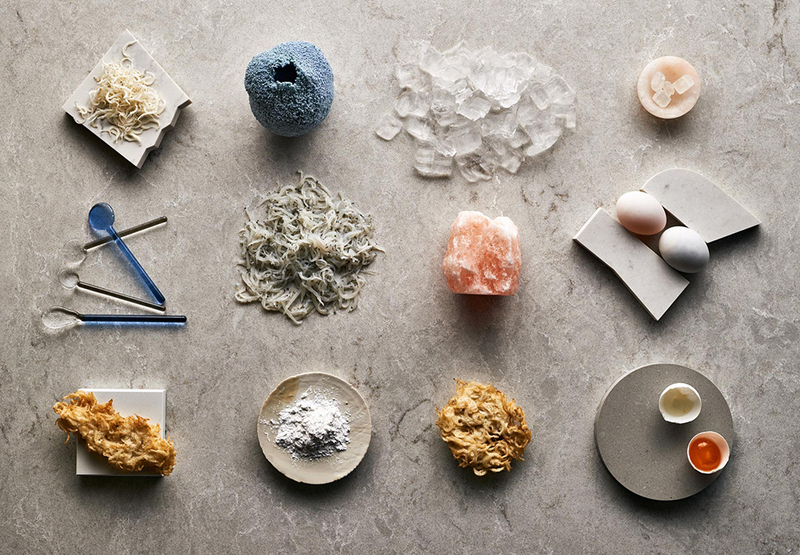 I think of this as a feeling of ‘rawness’ – to show the materials in a way that appeals to all the senses, which really echoes Caesarstone’s aesthetic,” said Francesca Sarti.